Your smartphone user experience will never be the same again with the Samsung Galaxy M20 Dual SIM mobile phone. It flaunts a marvelous 6.3inch FHD plus TFT Infinity V-display that renders every picture a lifelike look with its magnificent 2340 x 1080 pixels resolution. This mobile phone packs in two powerful cameras for professional-grade photography. It features a 13MP plus 5MP rear camera for capturing brilliant pictures, even in low lighting conditions. The 8MP front camera with in-display flash is perfect for selfies. 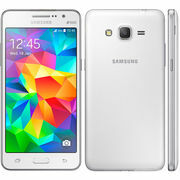 This smartphone features a 32GB internal memory and can be expanded up to 512GB with a micro SD card. It is driven by an incredibly powerful Exynos 7904 1.8GHz Octa Core processor and 3GB RAM for a remarkably powerful performance. This smartphone features a 5000mAh battery that will provide long hours of runtime on one single full charge. Also, it supports fast charging, so you can charge your smartphone in quick time. All the more, this smartphone runs on a new UX and incorporates face unlock and fingerprint technology for quick and hassle-free unlocking. Available in a dark gray finish, this smartphone looks classy and will complement your personality. Your smartphone user experience will never be the same again with the Samsung Galaxy M20 Dual SIM mobile phone. It flaunts a marvelous 6.3inch FHD plus TFT Infinity V-display that renders every picture a lifelike look with its magnificent 2340 x 1080 pixels resolution. This mobile phone packs in two powerful cameras for professional-grade photography. It features a 13MP plus 5MP rear camera for capturing brilliant pictures, even in low lighting conditions. The 8MP front camera with in-display flash is perfect for selfies. This smartphone features a 32GB internal memory and can be expanded up to 512GB with a micro SD card. It is driven by an incredibly powerful Exynos 7904 1.8GHz Octa Core processor and 3GB RAM for a remarkably powerful performance. This smartphone features a 5000mAh battery that will provide long hours of runtime on one single full charge. Also, it supports fast charging, so you can charge your smartphone in quick time. All the more, this smartphone runs on a new UX and incorporates face unlock and fingerprint technology for quick and hassle-free unlocking. Available in a dark gray finish, this smartphone looks classy and will complement your personality. SPECTACULAR PERFORMANCE Multitask without breaking a sweat with this high-end Samsung Galaxy M20 smartphone. It packs in a powerful Exynos 7904 1.8GHz Octa Core processor that delivers an efficient performance when running apps and games. This mobile phone has 3GB RAM and GPU Mali-G71 MP2 that provide smooth multitasking. So you can play games, run high-end apps, search the internet, simultaneously, without experiencing the slightest of lags. BREATHTAKING DISPLAY Get lost in the stunning display of this Samsung Galaxy Dual-SIM mobile phone. 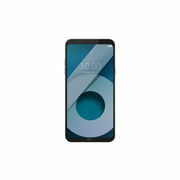 It flaunts a gorgeous 6.3inch FHD plus TFT Infinity V-display that renders every shot with exceptional clarity and detail, giving you a lifelike viewing experience. 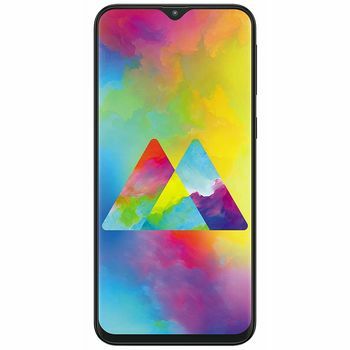 Also, this Samsung Galaxy M20 smartphone has Widevine L1 certification for streaming HD content and Dolby Atmos 360 degree surround sound for immersive audio, which makes it the perfect pick for your everyday entertainment. SHOOT STUNNING PICTURES Shoot incredible pictures on the go with the top-of-the-line camera of this Samsung Galaxy 32GB smartphone. It features a dual rear 13MP plus 5MP camera with an ultra-wide lens that lets you capture perfect shots. The 13MP with 1/9 aperture is ideal for low light photography while the 5MP 120-degree ultra wide angle lens is ideal for landscapes. The 8MP front camera with F2.0 aperture and in-display flash makes it suitable for capturing ready-to-post selfies at parties and functions. 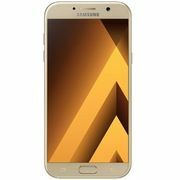 LONG-LASTING BATTERY Engage in hours of entertainment with this high-end Samsung M20 4G LTE mobile phone. It packs in a 5000mAh battery that provides ample juice for meeting your everyday usage demands. With 4G LTE connectivity, you can easily live stream videos, play online games, download and upload content, and a lot more. 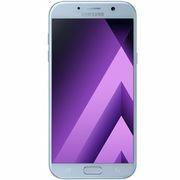 This mobile phone comes with a 15W Type-C fast charger that offers three times the charging speed when compared to a 5W standard charger. 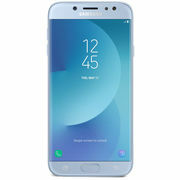 SAFE AND SECURE This Samsung M20 3GB RAM mobile phone is engineered with the latest technologies for delivering a top class performance. It incorporates face unlock and fingerprint technology that allows you to unlock your smartphone with effortless ease. Furthermore, this mobile phone runs on a new UX that and delivers smooth and fast operation. With dual SIM functionality, it gives you the freedom of using two mobile carriers simultaneously. 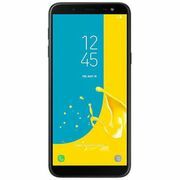 HIGH CAPACITY This Samsung M20 smartphone features 32GB internal memory that gives you ample space for storing apps, pictures, documents, and other essential files. Also, it features an inbuilt SD card slot that supports memory card up to 512GB.